The key (and often unsaid) reason athletes seek out sport mental training from high performance trainers like me is fun — they’ve stopped having it. Whether it is because of inconsistency, losing, injuries, reduced playing time or on-going intimidation, athletes get dejected and quit. And by the time they do, parents, coaches and teammates are relieved, as they are not much fun to be around. I know, as I’ve tossed a few water bottles and slammed a number of locker doors in my sporting career. 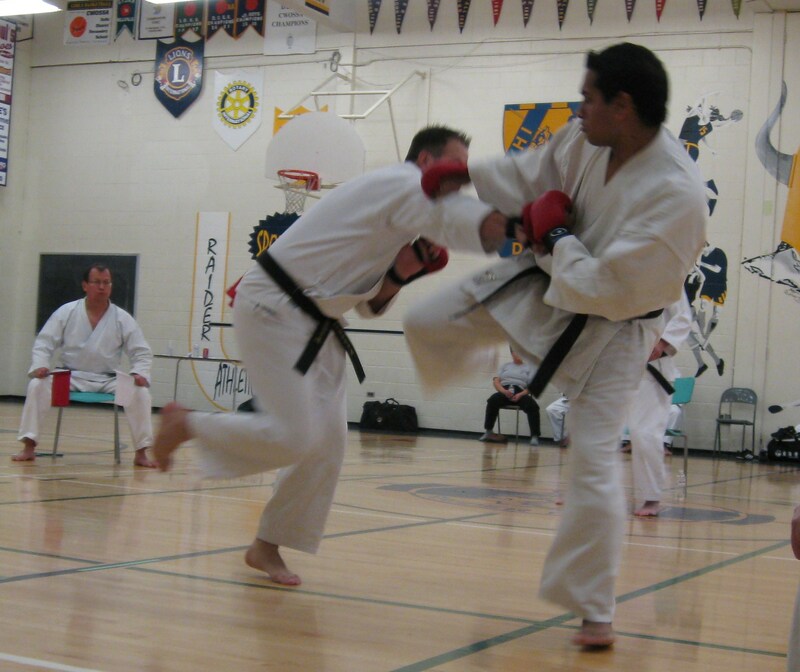 As if a career of sporting failures in hockey as a kid wasn’t enough, I joined a karate club in my early 30’s and discovered that karate was a competitive sport, not just a means of achieving self-defense, self-confidence and fitness. And within a few months my instructor encouraged me to compete. I was hesitant, but he sold me on the excitement and fun. And, as luck would have it, I medaled in my first competition. I was hooked, but about two years into my training, a thumb injury became painfully chronic. The word ‘karate’ means empty hand, and at that time we were not even allowed to wear protective sparring gloves in practice, let alone in tournaments. So my hands got pretty bashed, bruised and beaten up. As soon as they would heal, the healing would be undone. And even the slightest contact brought tears to my eyes. With each new episode, the fun diminished. Quitting was an option, but I committed myself to one last competition, partly because I’d already paid for the flight, but mostly because I was no quitter. So I flew halfway across the continent to lose in a rather lackluster performance. And as the medals were being placed around the necks of the winners — I debated whether to take up another sport. Throughout the “celebratory” dinner, I said little and ignored the camaraderie around me. The speaker, our esteemed, 8th degree sensei, Sensei Shintani, spoke in a very quiet, yet powerful voice. He recalled his experiences and said something that seemed aimed directly at me. He LOVED sparring, he said. His voice sounded a bit louder and I looked around me to see if others had noticed it too. A higher tone perhaps; a quicker cadence. He told me (I mean us) that he would spar for hours until dripping with sweat and fully elated. My pulse quickened. Strange, it was as though he knew the precipice I was facing. On the plane ride home I asked myself if I thought I could love to spar as my sensei had. What if one day I could say ‘I love sparring’ to an audience like he had? And as I said it, my pulse quickened again, just a little. It was as though an excited and inspired fighter inside of me was waiting for me to summon him. I said it again, and felt that same internal flush. I smiled for the first time in months. There was hope. In my next practice I put my sensei’s message to the test. I went for the joy first — that missing magical ingredient — to see what happened. I mustered up my excitement with that same internal flush and told myself: I LOVE SPARRING! I said it several times, with higher intensity each time, and my heart started to beat wildly in my chest. It was electrifying. Surprisingly, even my first fight against a dojo-mate had only muted pain. And by the second, third, fourth and fifth fight, as I was internally screaming, “I LOVE SPARRING,” the pain had absolutely disappeared. What seemed to have replaced it was the electrifying feeling and at times it erupted externally via an unexpected and startling, kei-ed, karate yell. By class-end, soaked in sweat and pleasantly wired with adrenaline, I examined myself for pain. Was there pain? Perhaps, but who could tell, as the adrenalized feeling was sticking around. It felt fantastic. Funny what a simple story can teach you when you are ready to listen. Hey, maybe he was speaking directly to me! I realized afterward that my little ‘I love sparring’ mantra had actually put me in the Zone, by introducing the “flush” of substantial quantities of adrenaline into my system. And by continuing this approach in ongoing training, my Zone developed along with my competitiveness, skill and focus, as did my pain tolerance. Most often I felt no pain, at least not until the ride home. That was clearly a victory in and of itself. Search in your memories for an exceptional moment in your game (or life) where you were having fun, feeling empowered and being successful. Feel the good internal sensations as you think of that moment. Notice where the good sensations are located; electricity in the chest, for example. Take this feeling (and perhaps the mantra of “I love ______”) to your game and test it out. Building excitement and adrenaline in sport is an easy way to find your Zone and reconnect with your passion. And it has benefits way beyond pain reduction, as many athletes immediately notice an increase in speed, reflexes, anticipation and awareness. And, when your game feels this good — pain or no pain — you will have reclaimed the fun. This entry was posted in Athletes, Fun in Sport, Parents, Sports Training, The Zone and tagged adrenaline in sport, Athletes, fun in sport, mental focus training, mental high performance, sport mental training, sports training, strategies for sport. Bookmark the permalink.